In Part 4 of our series on Scientology financial crime, we conclude our look at the evolution of Scientology as a criminal enterprise, specifically at how Scientology’s many rackets have evolved over the last 20 years or so under the authority of David Miscavige. Having essentially abandoned auditing in favor of less risky income streams, we look at the “Golden Age of Tech,” “Super Power” and other scams such as the “Ideal Org” real estate portfolio racket and their place within the criminal enterprise that is Scientology in the 21st century. Lastly, we’ll examine Scientology’s vulnerability in the post-9/11 era of financial regulation. However, before we return to examining David Miscavige’s and Scientology’s behavior during the Lisa McPherson trial that we described in Part Three, it’s important to establish some additional contextual understanding of several key events in the mid to late 1980’s that influenced not only church behavior during the McPherson trial, but also served to shape the church’s behaviour and culture within Scientology into the present day. In 1982, as part of a complete corporate restructuring of Scientology, ostensibly to, among other things, limit LRH’s personal liability and scrutiny of his personal wealth, Miscavige and his Sea Org enforcers, including the International Finance Police (IFP), began to consolidate his power over the various rackets within Scientology. In October of 1987, Miscavige created his own version of “The Commission”, a la La Cosa Nostra (LCN: “This thing of ours” or “Our thing”)-like power structure within the Religious Technology Corporation (RTC) that in similar permutations, operates to this day. As Chairman of the Board RTC (cappo di tutti capi or “Boss”), or under his eventual more common moniker of “COB”, Miscavige created his “Inspector General Network,” (Miscavige’s Crime Family) led by Inspector General (Underboss) Captain Greg Wilhere. Reporting to Wilhere were Inspector General (Caporegime) for Administration Captain Marc Yager; Inspector General for Technical (Caporegime) Captain Ray Mithoff; and Inspector General for Ethics (Caporegime) Captain Mark (“Marty”) Rathbun; Rathbun would soon become Consigliere to Miscavige, his “go-to” lieutenant for all matter of capers, fires, and legal shenanigans. Though the IRS guidelines for non-profit corporate governance calls for traditional forms of corporate organizational structure and transparency, along with impartial boards, trustees, and fiduciaries, this LCN-like management structure has governed Scientology ever since. This feudal structure has ensured that Miscavige has absolute control over every facet of Scientology’s global operations as well as setting its cultural and institutional tenor; this also ensures he is ultimately responsible, indeed culpable for its criminal mentality and numerous misdeeds under his authority. “The Snow White Program and the SEF had taught the Church a very valuable lesson: Having a large slush fund that was legally autonomous from the Church was a very important resource to possess — particularly given Scientology’s penchant for vicious Fair Game tactics that were either on the edge of law or crossed over into illegality. There are a variety of interesting similarities between Miscavige’s creation of the IAS and Scientology’s and LCN’s evolutions as criminal organizations. First, while Miscavige went to great lengths to legitimize creating the IAS, specifically that it was separate and independent from the Church of Scientology, “stating that the previous membership organization, the ‘International Membership’ program that was sold to Scientologists between 1977-1984, was illegal and off-source (Scientology Policy Directive 104R of 31 October 1985).” Given LRH’s views, it was then and continues to be a contentious, indeed heretical act to many old guard Scientologists. The controversy around the founding of the IAS also resembles the great philosophical debate among LCN’s Five Families in the 1940s and 50s, regarding the traditional prohibition against selling heroin that eventually fatally fractured LCN’s old guard; however, selling heroin, like the creation of the IAS money machine, would eventually win out, as it was simply too lucrative not to. Furthermore, while both the heroin business and the excesses of IAS fundraising would eventually cull membership in both organizations, both would reap riches beyond the requisite need to sustain any meaningful growth in new members. Another LCN-Scientology similarity arising from the creation of the IAS, was the establishment of several opaque offshore trusts and holding companies, including at one time, a “non-situs” (no fixed location) IAS ownership vehicle based on the M.V. Freewinds. As part of its reorganization after Hubbard’s death, the Church had created offshore accounts for its various corporate holding entities. However, in locating the IAS offshore, much like LCN’s Cuban operations in the 1950s, it now had a vast slush fund that was relatively free of government scrutiny. When Castro threw out the mob in 1960, it simply moved its operations to Panama and other mob-friendly Caribbean nations. The IAS was luckier: it wouldn’t be until 2007 that US money laundering laws would force the IAS to move its registration from Curacao to Delaware. In many ways, the IAS is Scientology’s dirty tricks fund. 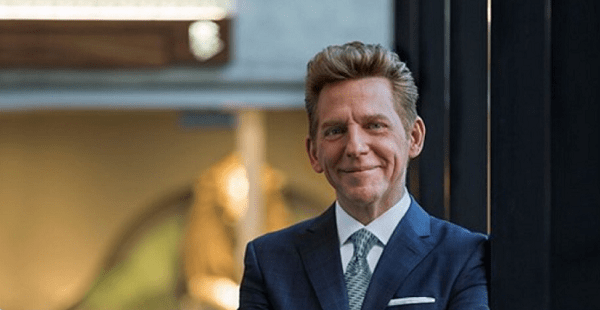 Fueled by predominately high net worth “investors” (donors) or “whales,” it provides David Miscavige as fund manager, a tax-free internal crime vehicle to fund any manner of questionable activities, more of which we’ll cover in future articles. In returning to the Lisa McPherson case, Miscavige’s absolute control over his Scientology criminal enterprise, fueled by an unlimited IAS slush fund and other accounting games, was able to manipulate the trial’s eventual outcome. The Church was originally indicted on two felony charges in Lisa’s death: abuse or neglect of a disabled adult, a second-degree felony, and unauthorized practice of medicine, a third-degree felony; the first criminal charges ever filed in the United States against the Church of Scientology. Scientology’s ability to intimidate medical examiner Joan Wood into changing her original determination of “undetermined death” to one of “accidental death,” is the most egregious example of Scientology’s pressure, back-handed tactics and outright intimidation of just one of the many parties to the case. Wood would eventually retire on health grounds as a result of Scientology harassment; Scientology also attempted to compromise judges, facilitated the destruction of evidence, and filed numerous, spurious briefs to prolong the agony for Lisa’s family. It’s estimated that over the life of the whole sorry business, Scientology spent between $20 to $30 million dollars fighting and spinning the case. Miscavige learned lessons from the McPherson case, just as he learned lessons from witnessing the fallout from Operation “Snow White”. However, now as head of a criminal enterprise, the lessons learned would be manifested through a complete rethink and repackaging of Scientology’s various rackets; in mob terms, reformulating cocaine into crack or taking Vegas online, and thereby logarithmically increasing profit margins, with both organizations exploiting addiction, be it to immortality or for a more intense high. In some ways, Miscavige viewed Lisa McPherson’s breakdown as a warning of the potentially disastrous outcomes from faulty auditing, even though he had been her immediate case supervisor. Overtime, Miscavige began to de-emphasize auditing, (though not by big spenders at Flag), and instead, rolled-out new rackets that would be even more lucrative without any significant potentially detrimental mental health ramifications or need for refunds, etc., starting with the “Golden Age of Tech” (GAT) in 1996. This was then followed by “Super Power” in 1998, complete with a marquee, $100 million dollar “cathedral” or “Flag mecca” to be constructed in Clearwater. 2002 saw the roll-out of the “Ideal Org” con, which was basically the creation of a real estate portfolio in the guise of “planetary dissemination.” The release of “The Basics” in 2007, along with GAT, (and later “GAT II”) were perhaps his most naked cash grabs, given that Scientologists were forced to essentially repurchase courses, books, or other materials under flimsy pretenses. Since then, resentment about the way Miscavige has altered Hubbard’s original books and teachings has been building. In 2007, Miscavige republished ‘The Basics’ — Hubbard’s essential books of Scientology teachings — saying that many errors of transcriptions had been found in them. Scientologists were put under intense pressure to buy multiple sets of the new books, which, with new editions of Hubbard’s lectures, were sold for $3,000 a set. Even loyal church members couldn’t help thinking it was more cash grab than anything else. Despite the exodus resulting from Miscavige’s various squeezes, the control mentality amongst Scientologists ensured Miscavige’s various street taxes would continue to be collected, usually by coercive and at times extortionate methods using muscle in the guise of Field Staff Members (FSMs) or “regges.” Scientology’s captive market ensure that product and services markups are in keeping with those along the lines of LCN’s most aggressive loan sharks or merciless drug dealers. Given that Scientology produces all its materials internally using essentially slave labor – think of exploited women bagging crack in some hovel in Harlem back in the 80s – its profit margins exceed even those of Pablo Escobar in his heyday. Couple this with ongoing tax-exempt donor income of millions per year and it becomes abundantly clear just what a cash-generating machine Scientology has become under Miscavige. In particular, the donor scam around the “Ideal Org” program is particularly lucrative, though recently it appears to be losing steam at the local level. We’ll be looking at the Ideal Org scam in detail in the future; however, in looking at the scam as part of Scientology’s overall racketeering, it is simply a means to placate the IRS as well as to extort donations in a particular locale overtime, under the guise of purchasing and refurbishing a spiffy new place to deliver Scientology products and services. An excellent essay by Mike Rinder on the origins of the Ideal Orgs can be found here; in financial crime circles, real estate is a classic means to launder money. However, given that the provenance of the donor dollars here is known, it would appear that the Ideal Org program is a means to avoid IRS charges of enrichment rather than money laundering. Enrichment is defined as the accumulation of excessive capital by a tax-exempt organization as well as a means to obtain excessive donations under fraudulent pretenses. It has proved to be a highly lucrative racket for Scientology, as the buildings are often purchased in a distressed state, and then local Scientologists as well as whales are heavily regged to donate to refurbish the building, usually for target amounts far in excess of what’s required. For example, a building purchased for $900,000 may be positioned as needing “extensive” renovations, and over several years of ongoing fundraising, may end-up yielding $5-10 million in donations towards this goal. What’s nakedly fraudulent about this racket is that often times no renovations are even undertaken, or in some instances, the building is sold off for pennies on the dollar, with the donations being kept by the church. Just like LCN torching the same nightclub over and over as an insurance scam, Scientology appears to run the same rackets again and again against the same declining pool of dupes and marks. There’s a certain predictability to the church’s behavior, though unfortunately it hasn’t resulted in exposing the church to a successful criminal prosecution for its historically egregious behavior. In true LCN boss fashion, Miscavige has hired canny lawyers and accountants that continue to provide him with timely advice that keeps the whole crooked enterprise afloat. However, in other ways, the church’s vulnerability may be found in its predictability as well, such as in its pervasive abuse of the R1-R2 religious visa program, thus opening the church to charges of human trafficking, given its reliance on foreigners to fill staff positions. Its institutional disdain for “wog law” may also provide an opening for not only the IRS, but also for the Financial Crimes Enforcement Agency (FinCEN), in that Scientology’s historic use of offshore vehicles and other questionable financial practices may not have been updated to reflect the post-9/11 financial regulatory environment. While the repatriation of the IAS Trust to Delaware in 2007 represents an awareness of this new reality, it may not necessarily reflect a universal spirit of compliance, especially for an organization institutionally predisposed to perceiving itself as above the law. We’ll be exploring this vulnerability in greater detail in future posts. Previous Previous post: Hana Whitfield Guest Post: What Happened when Hubbard Used the Data Series Himself?